After detours and disputes, many major airports are successfully hammering out deals with ride-hailing services such as Uber, Lyft and Sidecar. That means more and, often, less expensive ground transportation options for many travelers. Earlier this month, the Metropolitan Washington Airports Authority announced that, beginning Nov. 1, Uber and Lyft would be added to the list of authorized ground transportation options at Washington Dulles International and Ronald Reagan Washington Airports. At the end of August, the Los Angeles City County approved a permit process that will allow Transportation Network Companies (TNCs), as the ride-hailing services are also called, to pick up passengers at Los Angeles International Airport. Lyft, which already has operating agreements with 16 airports, is currently going through the permitting process at LAX, said airport spokeswoman Nancy Castles, but while representatives from Wingz, Opoli and Uber say they intend to apply, as of last week, no other TNC, had submitted an application for a permit. “In the meantime, TNCs may continue to drop off passengers at LAX, but they cannot pick up customers,” Castles said. In July, San Diego International Airport signed permits allowing Uber and Lyft to join ride-hailing service Opoli in offering pickup and drop-off service at the airport and, at the beginning of September, UberX began operating legally at Sacramento International Airport. Airports in Seattle and other cities are working on and/and or close to announcing agreements with ride-hailing services as well, and if Chicago Mayor Rahm Emanuel’s new budget plan moves forward, ride-hailing services will soon be officially allowed to pick up and drop off passengers at O’Hare and Midway Airports. “It wasn’t a question of when services such as Uber and Lyft were coming to airports or how to keep them out,” said Kevin Burke, President and CEO of ACI-NA, the organization which represents most commercial airports in North America, “The big challenge for airport directors was how to regulate the services,” given the various governing models in place at the nation’s airports, he said. To help move things along, ACI-NA put together a task force that examines the services and offers suggestions to airports on how to negotiate a deal that works for everyone. “Airports want to provide options for passengers that are coming in and leaving, and if Uber and Lyft are viable options, then we should be providing them,” Burke said. At the same time, though, airports need to make sure passengers are safe and airports need to protect themselves as legal entities, he said. In 2013, airports in the U.S. and Canada earned $3.1 billion from parking and ground transportation fees, so airports need to make sure the agreements they work out with ride-hailing services protect that revenue as well. One of those snags is in Florida, where last week Broward County Commissioners spent more than six hours debating regulations that would have allowed Uber to operate at Fort Lauderdale-Hollywood International Airport. George said while the airport looks at ground transportation services more as a customer service than a revenue center, he’s confident Uber won’t walk away from the large South Florida market, which includes 26 million annual passengers at Fort Lauderdale, 40 million passengers Miami International Airport and more than 7 million annual passengers at Palm Beach International Airport. “The airports are working together and I believe we will eventually get to ‘yes’,” George said. Airports around the country are grappling with how – and if – they can regulate and collect revenue from taxi-alternative companies such as Lyft, Sidecar and UberX, which maintain that they do not fall under the same rules that apply to traditional taxis that operate at airports. Some airports have taken a hands-off approach to the problem, but San Francisco International Airport has been adamant that these ‘transportation network companies’ are operating illegally at the airport. Earlier this month SFO announced that it had come to an agreement withe Sidecar to allows that company to operate legally at the airport. Now comes word that the airport has worked out a deal that allows Lyft and UberX to pick up and drop off at SFO as well. All three companies should be operating – legally – at the airport within the next 30 days and the deals will no doubt serve as a guide to help these companies work out their differences with other airports as well. In a first for California, San Francisco International Airport (SFO) and Sidecar have come to an agreement that allows the Transportation Network Company (TNC) to operate legally at the Airport. The permit, which allows the company to drop off and pick up customers at SFO, represents the first airport TNC agreement in the state of California. Sidecar, which is headquartered in San Francisco, expects to begin operations at SFO within the next 30 days. SFO officials say permit discussions continue with other transportation network companies, including Lyft and UberX, but that so far neither have signed a permit with SFO and so are not legally allowed to operate at the Airport. Last November, SFO came to an agreement with Relay Rides – a company that offers free airport parking, a car wash and a cut of the proceeds to travelers who let the company rent out their cars to others. A similar company, Flight Car, does not have legal permission to operate at the airport. Ride-sharing services provided by companies such as Lyft, Sidecar and uberX have become popular, if somewhat controversial, lower-cost alternatives to traditional taxicabs in many cities and at many airports. The services match people who need rides with mobile app-dispatched citizen drivers willing to provide rides and accept a fee. But, citing an aggressive stance by authorities at Los Angeles International Airport for issuing citations to drivers picking up passengers there, Uber and Sidecar have recently pulled the plug on that part of their LAX service. Noyes told CNBC there were no projections on when the uberX pickup service might resume, but that for now uberX drivers are still dropping off passengers at LAX. The company’s other services, UberBLACK and UberSUV, which work with licensed commercial drivers, continue both pickups and dropoffs at LAX, he said. At issue are the first round of rules issued by the California Public Utilities Commission for regulating companies such as Uber, Sidecar and Lyft, which the commission calls transportation network companies. “The question of picking up passengers by TNCs is still under review” by the commission, and TNCs wishing to serve the airport also need licenses or permits, and insurance, to do business at LAX, Nettles said. Nettles said Thursday she was unable to provide information on what types of citations were issued to uberX drivers. “We cite for airport rules and regulation violations and California vehicle and penal code violations as appropriate daily,” she said. 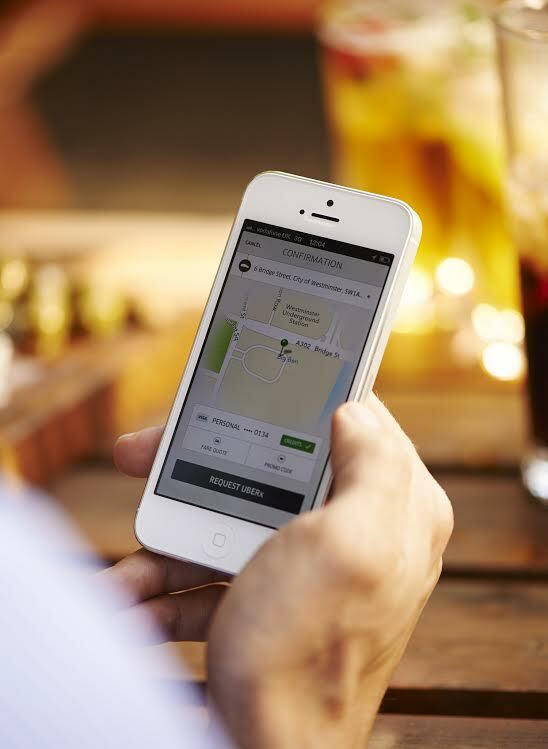 LAX is not the only airport that has taken action against ride-sharing companies. In April, San Francisco International Airport issued a cease and desist order to ride-sharing services operating there. “These were enforced primarily through admonishments, and some citations were also issued,” said SFO spokesman Doug Yakel. Like many other airports, San Francisco has rules stating that each business that provides ground transportation, rental car or airport parking services must get an airport permit . In response, Uber published a blog post in August with tips for riders at SFO noting that pickups by Uber services were unaffected, but that “SFO has taken an aggressive stance against uberX and has begun citing some drivers.” The company suggested fliers instead use another Uber ride service, such as UberBLACK or UberSUV. Lyft has not yet responded to a request from CNBC for the status of its services at LAX or SFO. For its part, SFO airport, which recently came to an agreement with car-sharing service Relay Rides, remains “open to new business models that provide our customers with a variety of transportation options,” said Yakel.